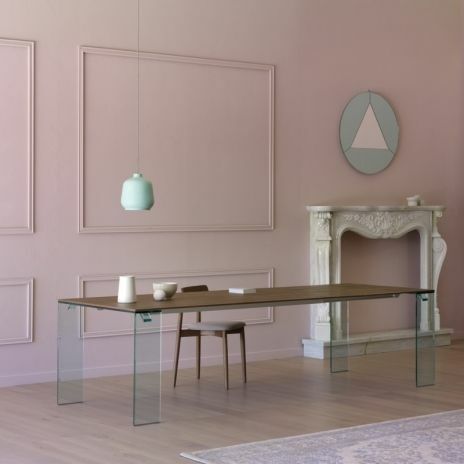 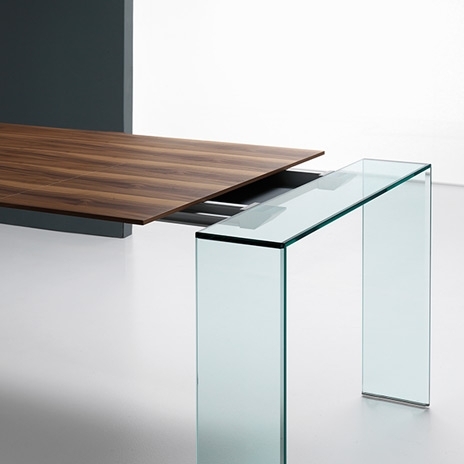 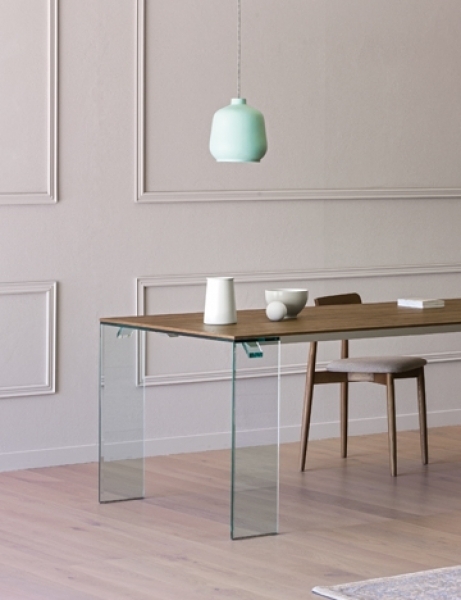 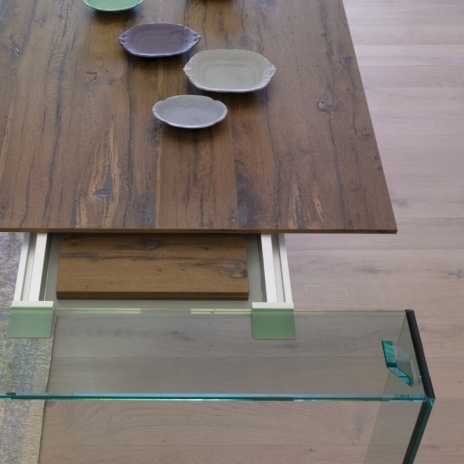 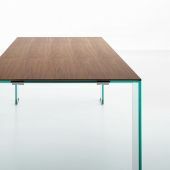 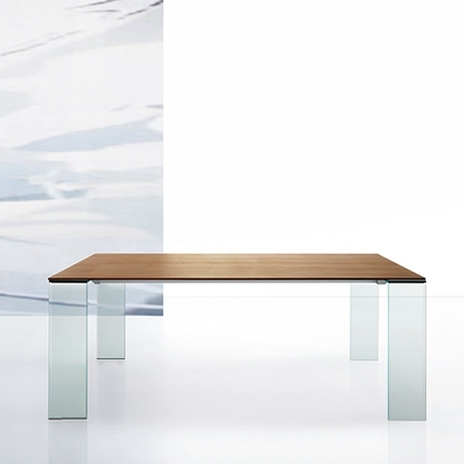 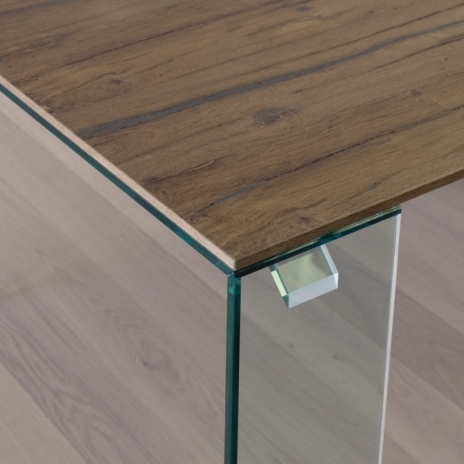 The table presents a high end style and mechanically fluid opening system, matching thin thickness glass and sophisticated transparency. Top available in wooden veneering on alluminium base or in extrawhite satin glass, lacquered in white or black on the backside. 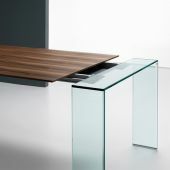 Legs made by 15 mm float glass.